Rapco Fleet Support is the industry leader in the manufacture of high-quality, independently engineered and tested PMA approved aircraft brake parts. 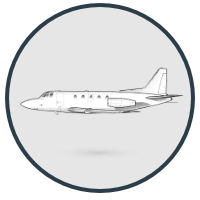 We make aviation brake parts for commuter and corporate airliners such as the Embraer EMB120, the Cessna Citation 500 or 550 and King Air 200, among others. We manufacture OEM alternative brake parts. 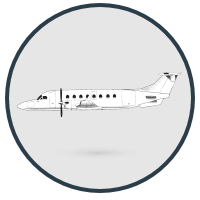 Discs, wear pads, rivets and brake assemblies for Sabreliner 40, 60 & 65 private aircraft. 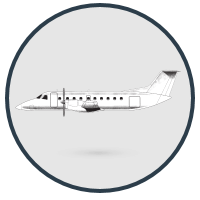 OEM alternative pads, swage tubes, rivets and pressure plates for Beechjet 400A airplanes. 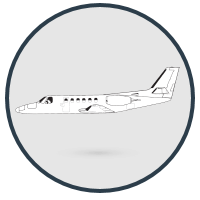 PMA brake parts for the Falcon 20 series: rivets, pads, discs and sub-assemblies. Pads, disc segments, rivets and pressure plates for Hawker aircraft. Replacement aircraft brake components for Citation 500 & 550 airplanes. Discs, pads and rivets for Learjet 25, 31, 35, 35A and 36A private aircraft. PMA brake parts for King Air 200/300/350 corporate airplanes. 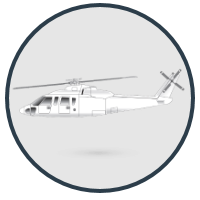 FAA-PMA approved brake components for the Sikorsky S-76 helicopter. Globalized businesses increasingly rely on aircraft to facilitate interstate and international business. FAA/PMA approved brake parts from RFS ensure that corporate aircraft remain in perfect and safe working order for a long life of global travel. OEM alternative brake parts for Beech 1900C & 1900D commuter aircraft. FAA approved aircraft brake parts for the Embraer EMB-120 commuter aircraft. High quality, thoroughly tested PMA brake parts for the Jetstream J31. 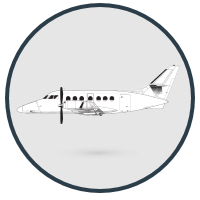 PMA aircraft brake parts for Fairchild commuter private aircraft. 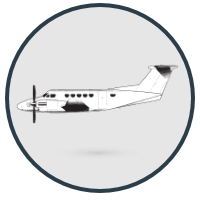 Overhaul kits and replacement parts for King Air 100, F90 & B99 commuter aircraft. 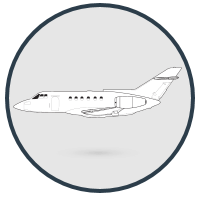 Rapco Fleet Support provides the highest quality and value commuter airline brake parts to keep costs of air travel under control, thus increasing consumers’ ability to travel at their leisure. Wear pads, discs, plates, rivets and more PMA brake parts are available from Rapco Fleet Support. The old myth pushed by OEM companies that PMA parts aren’t as reliable as OEM replacement parts is dead. Time and time again, the evidence and data from the FAA itself confirms PMA approved parts are a legitimate and safe option for replacement aircraft brake parts. When weighing OEM vs. PMA brake parts, you must consider quality and price. PMA approved brake components come out on top in both respects. 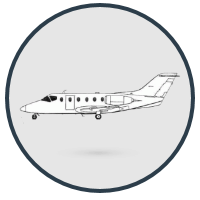 View more information about PMA approved parts straight from the FAA website. In the face of legitimate competition from serious aftermarket brake manufacturers, OEM's have continually pushed the agenda that their original manufactured parts are safer than PMA approved components. It's just not true. The PMA approval process is corroborated by strict FAA rules and regulations, including certification procedures, maintenance, rebuilding and alteration based on exhaustive inspection and flight testing. Contact aircraft brake parts manufacturers at RFS Brakes for corporate and commuter replacement brake parts today.